The YMCA Leadership Programs are a week long or the ease of the family schedule. The program is designed to meet the needs of the individual teen by providing them with skill development and valuable personal and group living experiences. To have the most amount of fun possible in one summer!!!! 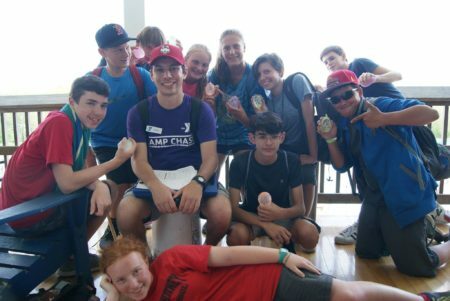 The junior counselor program at Camp Chase is a highly selective program and requires successful completion of our Counselor-in-Training Program or a comparable community service experience and three letters of recommendation. Junior counselors are assigned to a specific age group and assist counselors in leading games, running activities, fostering group cohesion, and supervising campers. This volunteer position requires 40 hours of staff training and a four week minimum commitment (OK if non-continuous).